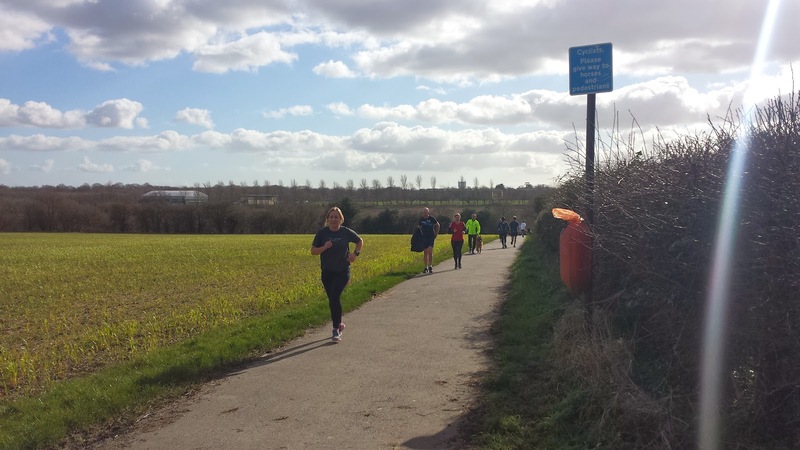 When the Canterbury parkrun event team decided to hold their test event at 1pm on a Saturday, I knew it would be a too-good-to-miss opportunity to squeeze in an unofficial double parkrun. So at 9am I ran at Pegwell Bay parkrun and then popped into Canterbury on the way home. It starts and finishes in the grounds of the University of Kent next to a building called the pavillion, which houses toilets and the cafe - The cafe has a balcony with great views over the start and finish areas. The car park is adjacent to the pavillion and is free at the weekend. This venue was due to go live in January 2014, but the course wasn't quite right and had to be modified. This pushed the start date back to March 2014. So with the kinks ironed out, a respectable crowd gathered in the sunshine on the playing fields in the University of Kent listening to the revised course description. As this was the test run I'm not going to do a full-on course description. I will tell you that the double out-and-back section along the Crab and Winkle Way is pleasant and mostly smooth tarmac with a couple of bits that are stony. However the course is not entirely on tarmac - I make it 3.2 kilometres on tarmac or other hard paths and 1.8 kilometres on grass. If it's been raining the grass might feel a bit slushy. I wore my trail shoes and my feet did get a little wet on the last grass section. 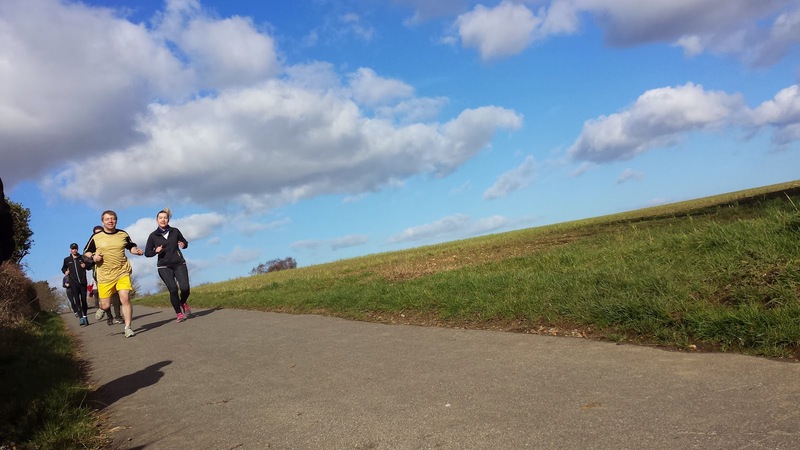 It's also the most challenging Kent parkrun to date in terms of elevation changes (I'll cover that in detail in the Canterbury parkrun inaugural event blog post). If you would like to see the route as a GPS file you can take a look at my readings from the Canterbury parkrun test run on Strava. At the time of writing this post (22 Feb 2014) the official course page still showed the original route which contained two different out-and-back sections but as of 28 Feb 2014 this has now been updated to show the final route. 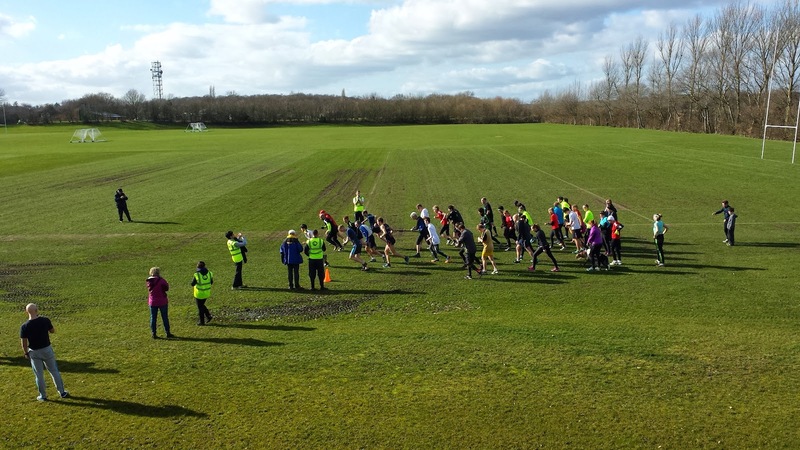 Canterbury parkrun's inaugural run is scheduled to be on 15 March 2014. 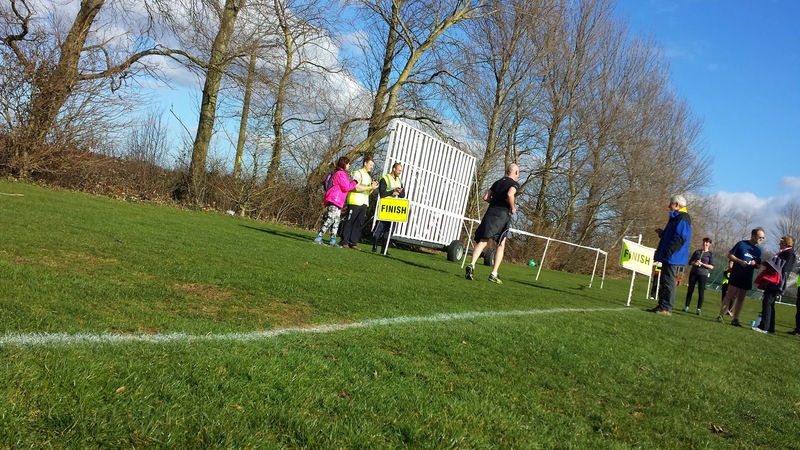 But please check their news and/or social media pages (Canterbury parkrun on Facebook) for the latest information. Please note that since the test run it has come to light that university regulations prohibit dogs on the school playing fields, therefore runners will not be permitted to run with their dogs at this venue.